You must have a good idea about the area that you intend to keep air-conditioned before making the purchase. The choice of location should be based on the area of greatest use, although it is also important to ensure that the area has space big enough to accommodate the installation of an air conditioner. For example, if you know that you’re going to be spending the most time during summer in your own bedroom, then that is the place to install the air conditioner. Furthermore, measure the height, the length, and the width of the area to have some idea of the BTU of the air conditioner that you need. Once you have an estimate of the amount of air that needs to be cooled, you can go about choosing the right air conditioner based on that estimate. Spend the time to shop around both local stores and the Internet to get the best price, keeping in mind that other considerations such as the size of the air conditioner can also be important. In some cases, you might also want to consider renovating either your walls or your windows in order to accommodate your air conditioner. Unless you have previous experience with both carpentry and masonry, you should entrust such renovations to professionals because the process entails uninstalling frames, chiseling out bricks, and then replacing some of those bricks at a minimum. Although some people may think that you can install your air conditioner on your own provided that you follow the instructions and have the tools on hand, this is a huge mistake. You must entrust a certified HVAC professional to handle the installation. System installations require that you to install mounting brackets, attach the air conditioner to the brackets, caulk it into place, and then attach all remaining parts prior to actual use. Be the contractors follow the instructions, do not use substitutes for stipulated items, and go to another professional if you are unsure. 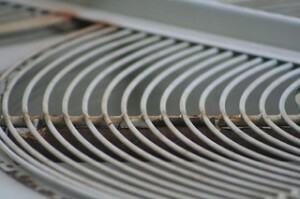 You do not want to cause damage to your air conditioner.